After an 11 goal first quarter, the BLACKWOLVES held a 6-5 lead. The rest of the way would only yield 10 more goals in total. Both defenses and goalies played tough and there wasn’t much transition for either side. 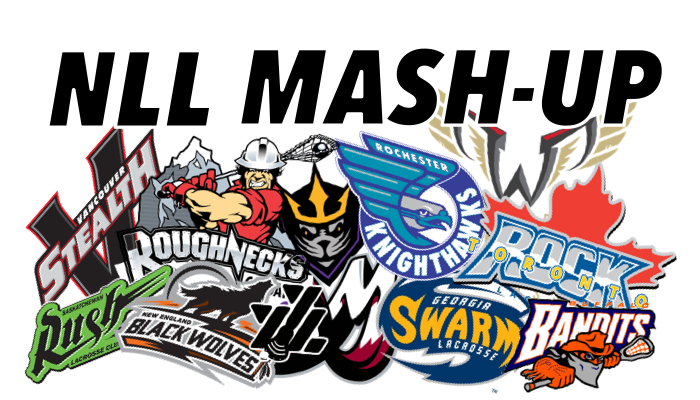 In the 4th KEVIN CROWLEY (3g) & SHAWN EVANS (3g,3a) combined for all 3 goals as the BLACKWOLVES pulled away. Once again, EVANS played a pivotal role throughout the whole game. It became evident that the ROCHESTER defense had set out to be physical with EVANS on, and off ball. He was able to take the punishment and yet was still fresh during crunch-time. REILLY O’CONNOR (2g, 3a) may have had his best game of the season. The BLACKWOLVES have used mainly 3 rights and two lefts and that has benefited extra space in the last two weeks. AARON BOLD (42 saves) and the defense were on point again. This marked the 3rd game in a row where they have held the opposition under 10. OK sports fans, I have to admit that I switched the game off at halftime with the RUSH leading, 9-3. It certainly looked as though they would cruise to a victory and remain unbeaten. When I flipped back, there were about 4 minutes left and the RUSH’S CHRIS CORBEIL hit a beautiful outside shot in transition to put his team back on top, 14-13. I thought to myself, wow the BANDITS gave it a good go, but SASK was going to come out back on top again. JEFF SHATTLER scored extending the lead to 15-13 shortly thereafter, but the BANDITS scored the next three, including PAT SAUNDERS goal in OT, to give the BANDITS the win, 16-15. It was SAUNDERS' only tally for the night. JOSH BYRNE (1g, 4a) then tied it during the closing seconds. ZACH HIGGINS was the star for BUFFALO, as he made 34 saves in relief of ALEX BUQUE, who let in 4 goals during the opening four minutes before getting pulled. VAUGHN HARRIS had a very busy night going 12 / 30 on faceoffs, while chipping-in 2g, 2a and 6 LBs. DHANE SMITH (4g, 5a) & MITCH JONES (3g, 7a) were top scorers for the BANDITS. From a SASK point of view I would simply look at this as a teaching moment. This was a game they were clearly in control of, but were then punished for falling asleep and letting their opponent back into it. It being a very light schedule, let’s look to see how our EASTERN CONFERENCE PREDICTIONS are going. Believe it or not, most teams have already completed about 25% of their season or thereabouts. 1.GEORGIA, 2. TORONTO, 3. NEW ENGLAND, 4.BUFFALO, 5. 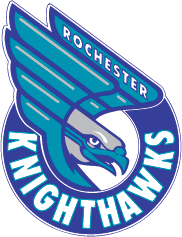 ROCHESTER. Thus far, our EC predictions are almost right on track. The only thing I'll change, is the order of the top 3.
to me looks the best at the moment. The balance they have throughout the floor gives them a slight edge to the rest of the division. ADAM JONES is proving to be the pick up of the offseason as he leading the league in points with 36, complimenting their strong right side led by SCHREIBER 31 pts, HICKEY 19 pts and HELLYER 29 pts. The ROCK can run the floor and score from the back end as well as anyone. CHALLEN ROGERS (4g, 4a, 15 LBs in only 3 games) now off the injury-list, has given them a lift adding to their depth. SHELDON BURNS (3g, 4a, 23 LBs) has been a great mid-season pick-up. 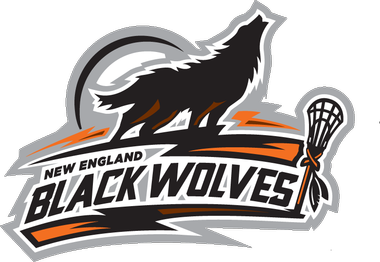 He was acquired in the trade from NEW ENGLAND that sent STEPH LEBLANC to the BLACKWOLVES in what is looking to be a swap that has helped both teams greatly ... Adding those two along with BRODIE MERRILL (1G, 2A, 44LBs). LATRELL HARRIS (0g, 5a, 24 LBs) and DAMON EDWARDS (2g, 2a, 12 LBs) give the ROCK a potent transition game. They'll need to tighten up the PK ... only at 32% (worst in the league). BRAD KRI (61 / 99, 62%) is solid on faceoffs and after a slow start. NICK ROSE is playing steady in net and has a 78% save%. is currently in first place, and deservedly so. The MOHEGAN SUN ARENA is looking like a real home field advantage, as they stand unbeaten at home, 3-0. Don’t count them out for finishing first, look for them to be in the playoffs at the very least. Solid goaltending by AARON BOLD with an active transition game to go along with SHAWN EVANS & KEVIN CROWLEY up front. They have an identity and execute really well in all phases. has gotten off to a slow start this season. To me, a result of their schedule as anything else. LYLE THOMPSON (7g, 15a) is off to a slow start offensively, but he has been all over the field picking up 45 LBs, (leads the team). SHAYNE JACKSON (13g, 13a) is one of the top lefties in the league, also one of the most underrated. MIKE POULIN has made 201 saves for 76%, giving them a strong foundation in goal. It remains to be seen if JOEL WHITE will make his return for the 2nd half of the season like he did last season. WHITE would be the missing piece of the puzzle, for me, if he comes back. JORDAN MCINTOSH is the main FO man, and has gone 39 / 86 (45%) while also adding 2g, 4a and 34 LBs. We spoke of two rookies ZED WILLIAMS (3g, 2a, 17LBs) & FRANK BROWN (0g, 3a, 15LBs) in the preseason. Both have made an impact in the SWARM defense. The transition game and powerplay is an area which they could stand to improve moving forward. Wow what a win for the BANDITS over SASK! Certainly, takes the sting out of last week’s loss to VANCOUVER. DHANE SMITH (12g, 24a) is now tied for first in the league in points with ADAM JONES. 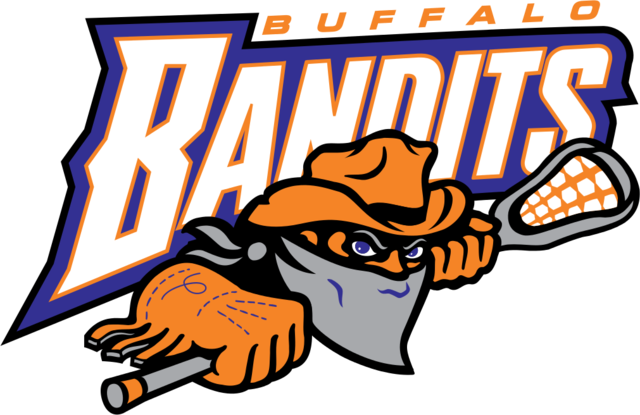 We said before the season that the BANDITS had plenty of questions, and it looks like they have been able to provide answers. The CALLUM CRAWFORD (10G, 10A) trade seems to be working for both teams. JOSH BYRNE (6g, 13a), JORDAN DURSTON (7g, 15a) and MITCH JONES (13g, 17a) are a new and exciting left side. JONES in particular, is looking good as he continues his great play from the MANN CUP finals with the NEW WESTMINSTER SALMONBELLIES this summer. Goaltending would be my biggest concern for the BANDITS. Will ZACH HIGGINS take over in cage for the recently inconsistent BUQUE? have now lost 3 in a row after winning the first two. There's not reason to panic, MATT VINC is an elite goalie. In the 5 v 5 sets, is there a more physical defense? The biggest question mark for me happens to be the same question we asked at the beginning of the season and that is, "can score enough?" The return of CODY JAMIESON has helped, but they have been under 10 in the last three. The competition is very stiff for the three playoff berths in the EAST leaving little margin for error. Don’t count any of these five out!